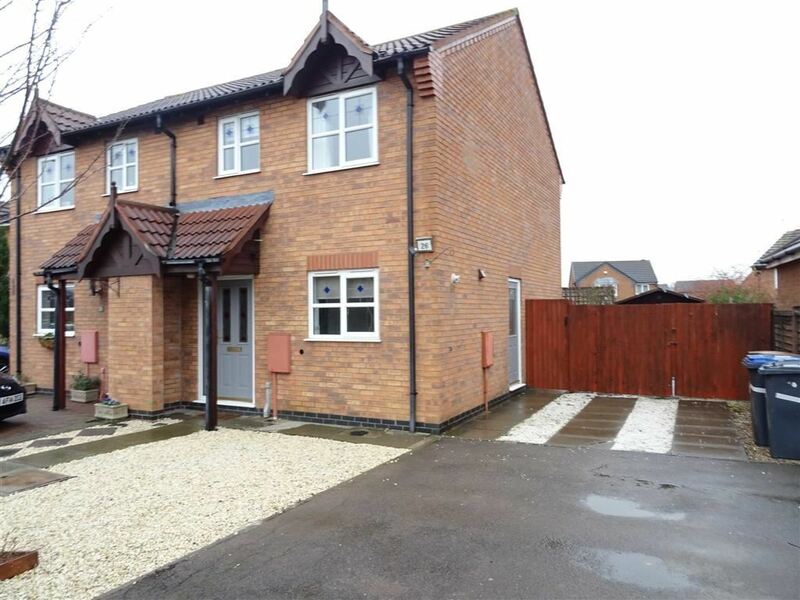 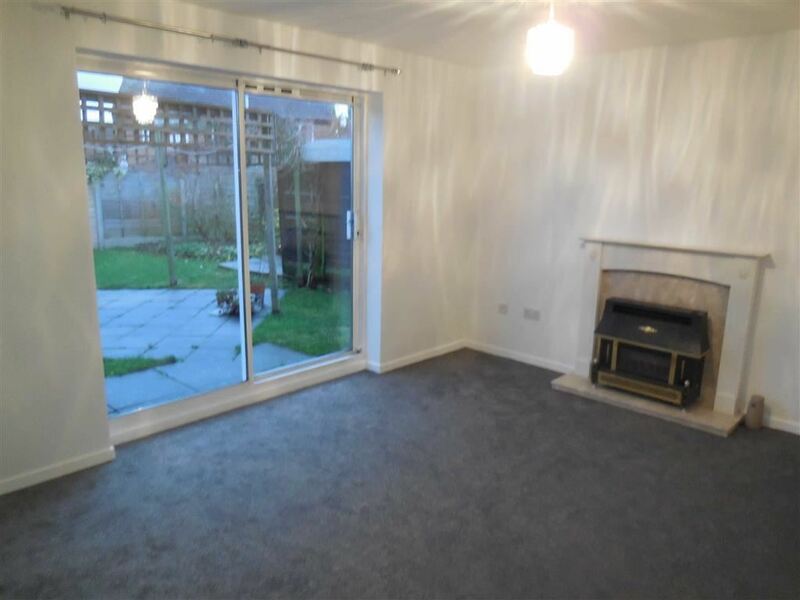 A well appointed, three bedroomed, modern Jelson build semi-detached house in cul-de sac position having the benefit of UPVC double glazing, gas fired central heating, bathroom with shower, low maintenance front garden with two car driveway, enclosed lawned rear garden. 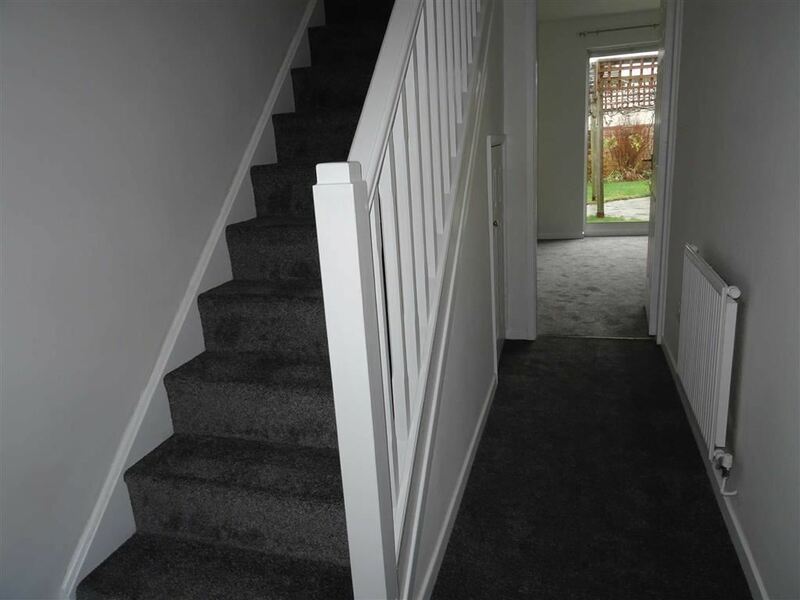 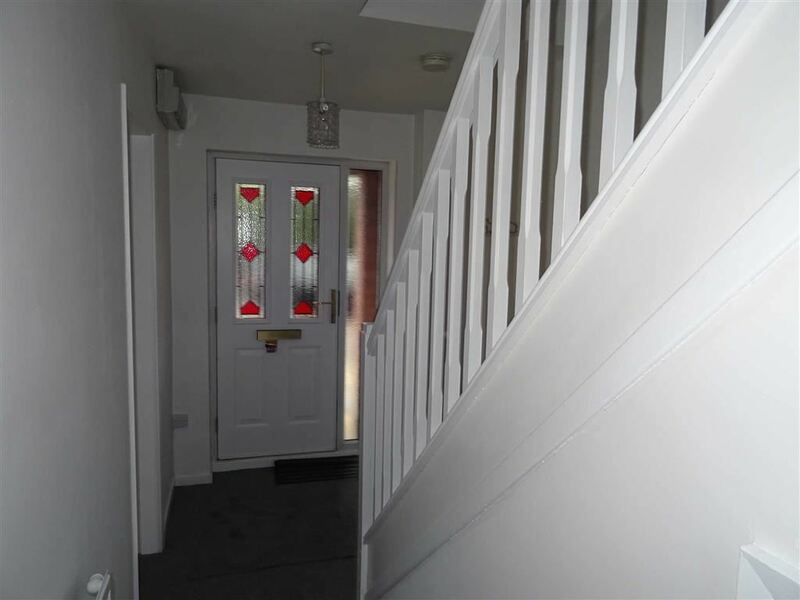 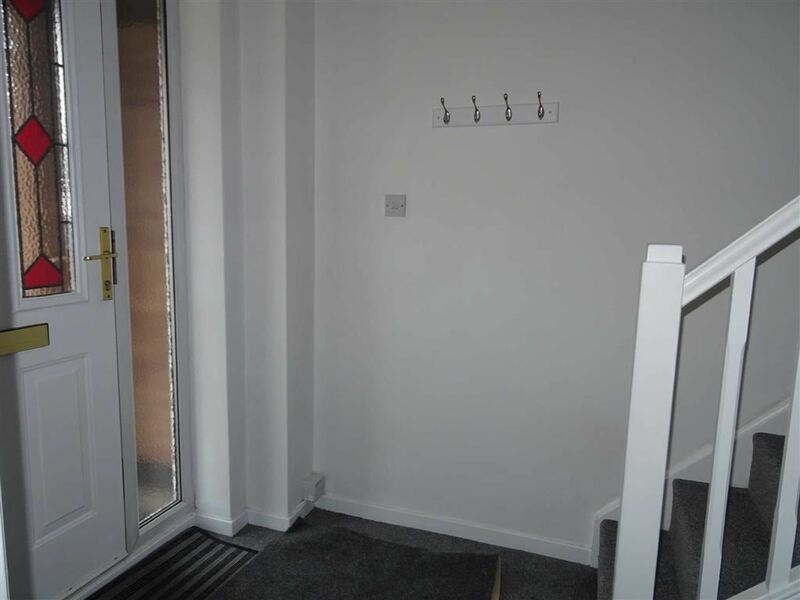 Having staircase to first floor, under stairs cupboard off, central heating radiator, obscure UPVC double side window, double glazed composite door, alarm system. 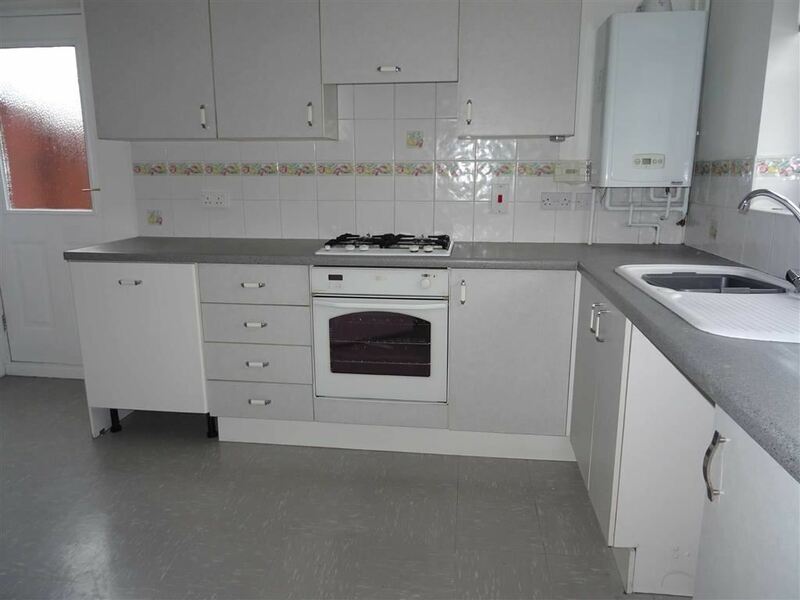 Having range of base and wall units comprising six base units and three wall units, bevel edged work surfaces, split level gas hob and electric fan assisted oven, extractor hood, plumbing for washing machine, wall mounted gas fired Glow Worm Flexi com 18 sx boiler with adjacent programmer, central heating radiator, double glazed composite side door. 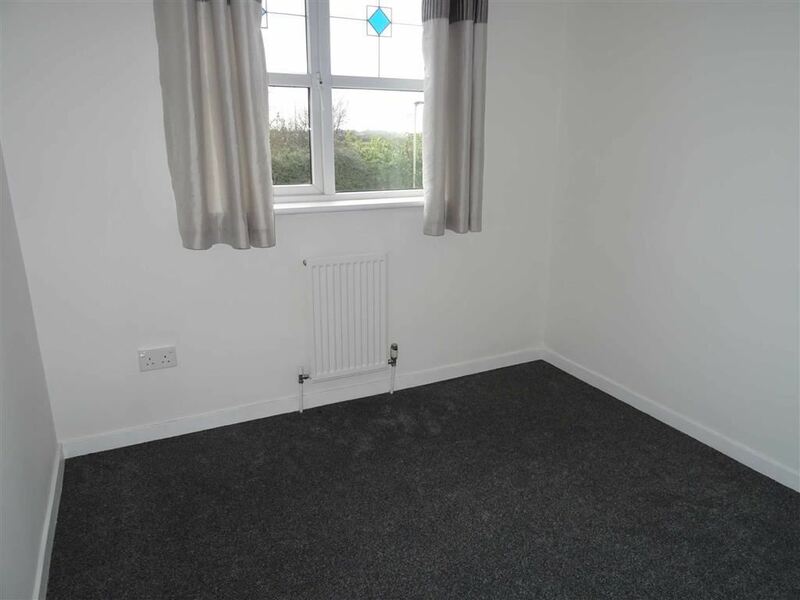 Having double glazed patio door, room sealed gas fire in attractive surround and raised marble hearth, central heating radiator, power points. 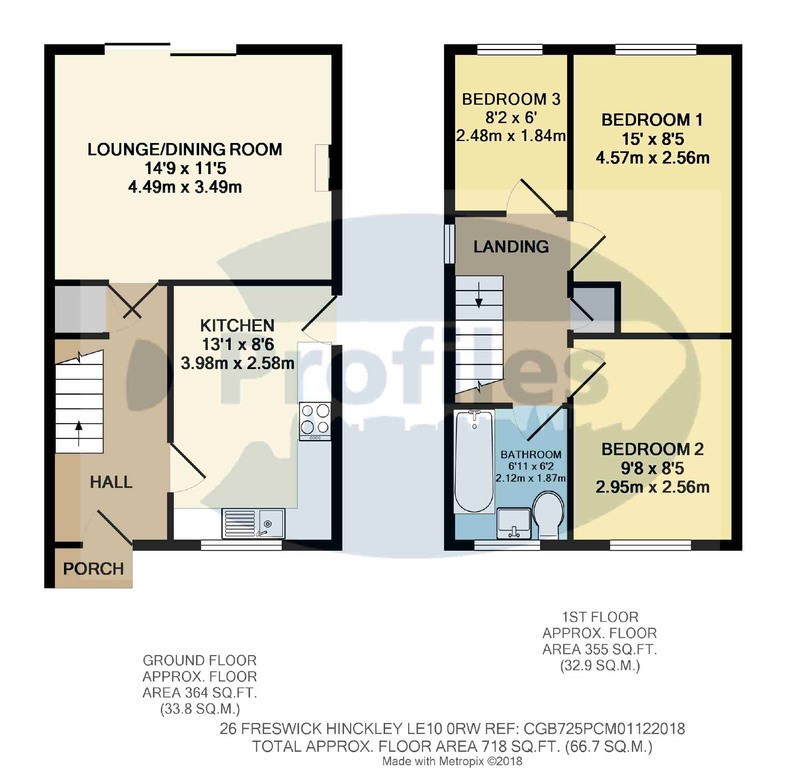 Having roof void access, smoke detector, two power points. 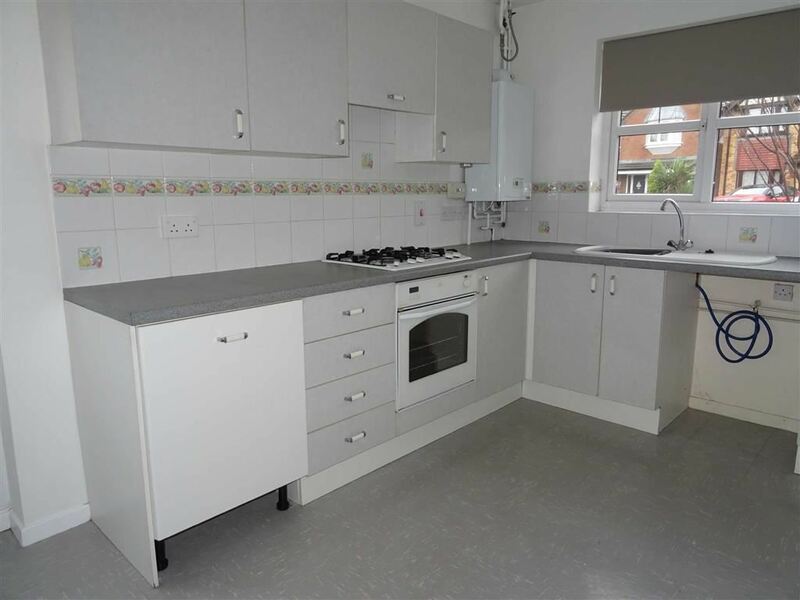 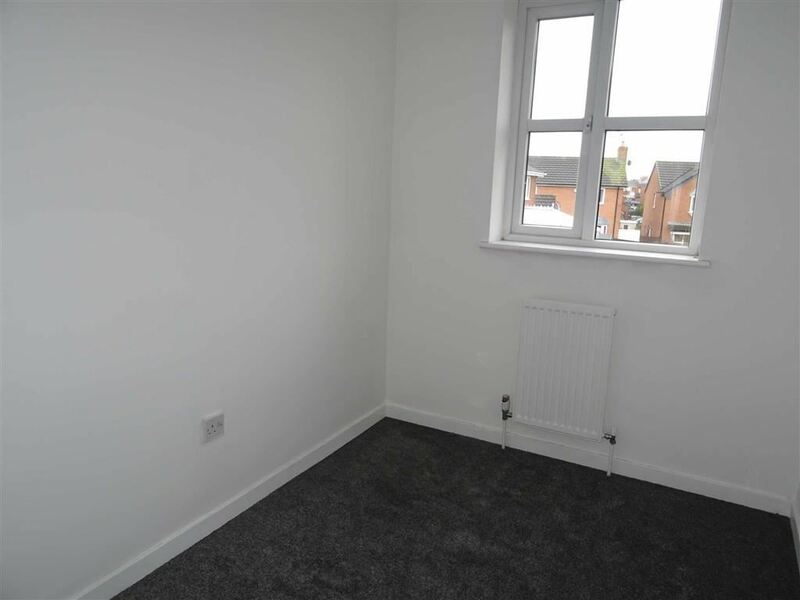 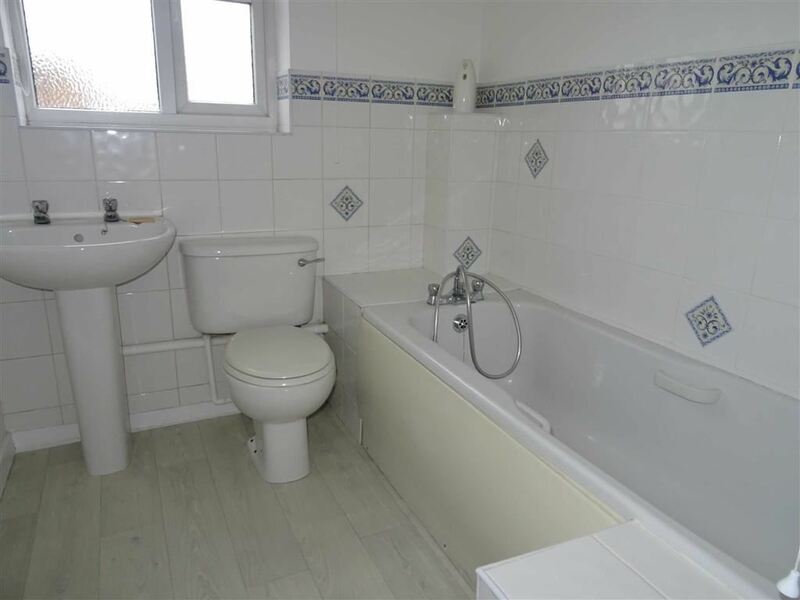 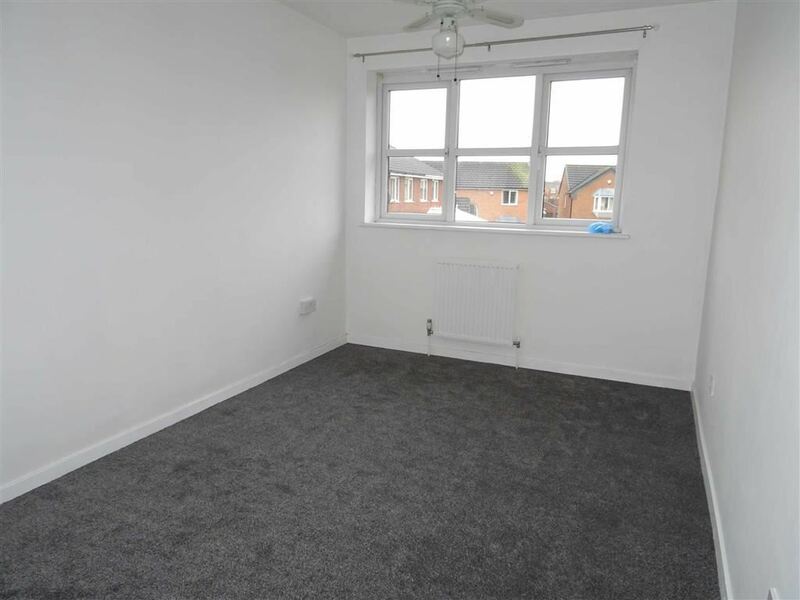 Having full suite in white comprising panelled bath with mixer shower, pedestal wash hand basin, low flush w.c, ceramic wall tiling, central heating radiator, obscure UPVC double glazed window, extractor fan. 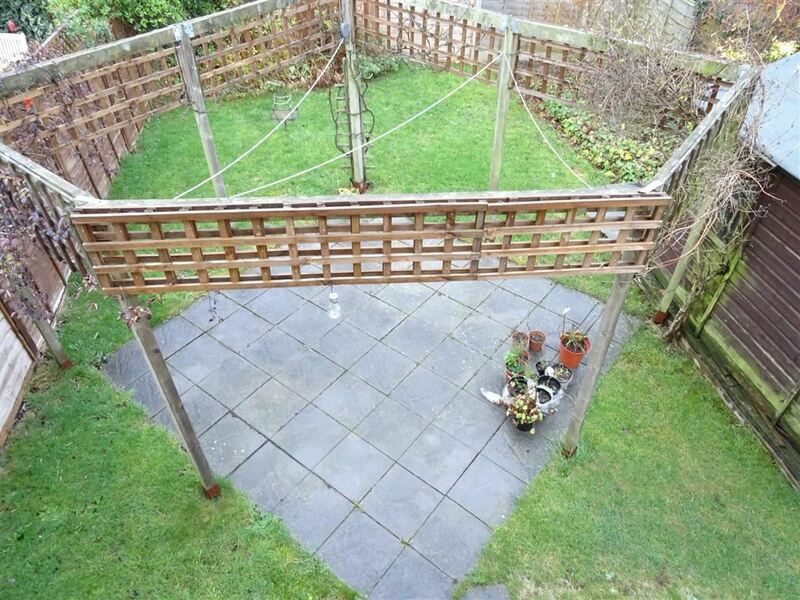 Having low maintenance front garden with two car driveway, side gated access to rear enclosed garden with pergola, patio.